‘The recent marriageof my daughter was one of the happiest days in my life and all the guests have said that it was the most enjoyable and well organized wedding ever. I had to write to thank you for your excellent contributions to that success. 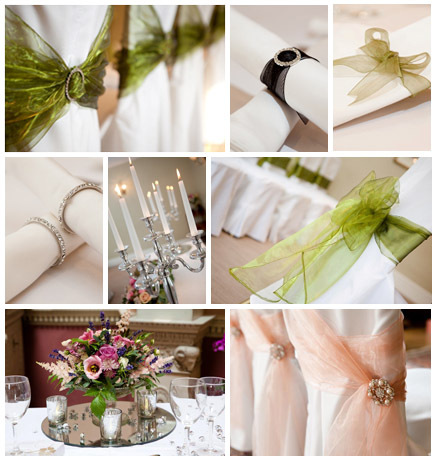 It is sometimes the small details which can make the difference, with your supply of chair covers etc being an example. You were totally flexible in your approach and nothing was too much trouble. Thank you’. ‘What more can I say, but an enormous thank you! Our room looked stunning, exactly as we had envisaged and you really blew our guests away! Thank you also for our very posh chocolate truffles…possibly the yummiest ones ever! Thanks again. ‘Thank you providing our chair covers for our wedding at the Pavillions of Harrogate. It made the room look beautiful’. ‘Thank you so much for all your help with our wedding. You were an absolute star to deal with,so helpful, efficient and friendly.Thank you for helping to sort the chair disaster on the day. Both the ceremony room and marquee looked fabulous. We were so pleased with the overall look. I’ll definitely be recommending you to my friends when they tie the Knot’. ‘Just wanted to say a big Thank you for making the chairs look so beautiful for the Dr Oetker event yesterday. It made our job so much easier when we arrived! I really appreciate all your help and hope to use you again in the future.